Today, a detailed pest and building inspection has become almost mandatory when buying a home. 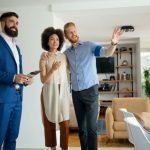 A property represents a significant investment and this report is a crucial information tool to help you make a well-informed buying decision. But not every building inspector will do a thorough job and it’s important to know what distinguishes a good report from an average one.Your building & pest inspection and report should always be conducted as per the relevant Australian Standards. Here is some information that lists what components a comprehensive pest and building inspection report covers. Tapping and probing the unobstructed and readily-accessible spaces of a property. This is done to detect structural damage as well as pest activity. Ones that detect conducive conditions; which if not fixed might lead to structural damage and timber pest infestations. Identifying major defects in the condition of finishing & secondary elements. Serious safety hazards noticed by the building inspector during the inspection. The building & pest inspection report will make mention of the overall quality of your property’s quality of construction & maintenance. It doesn’t include a detailed itemisation of decorative and finishing items, and maintenance, but might address these small items either collectively or generally. Your report may also note whether improvements, additions, and extensions have been undertaken; this is to alert your lawyer for necessary searches. The report may make note of compliance problems; but these will need to be further investigated by a qualified certifier. This is because a pest and building inspection isn’t a compliance audit. In addition, serious safety issues might be highlighted; it’s important to keep in view that a building & pest inspection isn’t a safety audit. Since this inspection covers limited testing and is a visual-only process, it isn’t intrusive. 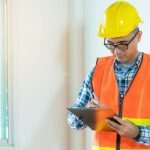 This means, even when he carries out a thorough check, the building inspector will be able to inspect only the areas that are visible and they can access easily. Sometimes, this gives the seller the opportunity to hide issues. The manner in which the ratings were derived. Take you step-by-step through the property to address safety hazards. Make mention of significant defects (and the minor items) where every defect should be very clearly described with its location. The extent of the defect – whether widespread or localised. There should be an accompanying picture with recommendations including information on which professionals should be consulted for any further advice and the timeframe for it. It’s always a good idea to ask to see a sample report to understand what you’ll be getting for the amount you pay. If you want to know more about our services Inspect It First, don’t hesitate to call us at 1300 557 047 or contact us through our contact form.